Every Monday evening, several Knights go to South Bend’s Dismas House, which is an organization that provides transitional accommodations and support services for ex-offenders recently released from jail. The goal of Dismas House is to reduce the cycle of crime by giving support to ex-offenders who are trying to readjust to society. At Dismas House, Knights help to prepare dinner and share it with the residents. Keenan has been in partnership with Dismas House for 19 years and is frequently honored for service with the “Loving Spoon Award”, which Keenan most recently received in 2015. 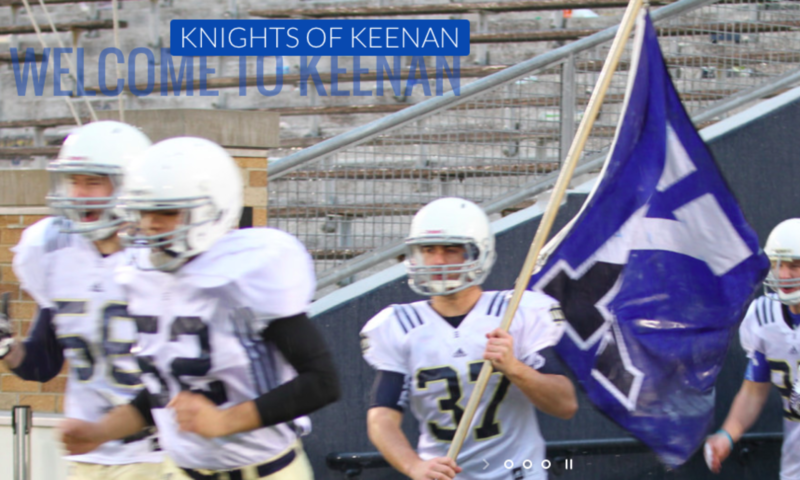 Several Keenan events raise money for various charitable causes. For example, the annual Muddy Sunday volleyball tournament is a fundraiser for Habitat for Humanity and the money raised from the Keenan Klassic basketball tournament goes to a charity of the winners’ choice. Keenan also collects donations during Lent to fund Kiva.org micro-loans. On a Saturday in Spring 2015, Keenan had a day of service. On this day, each section was matched to a service organization in the South Bend area, and knights were given an opportunity to volunteer for causes.